Delray Garden Center is a full service Award winning Landscape Design and Installation Company that has been successfully in business in Delray Beach since 1989. The company is certified by the Florida Nursery, Growers and Landscape Association. With nearly 30 years experience, the Delray Garden Center team can help you design the landscape of your dreams. The Delray Garden Center team will visit your property, discuss your goals and desires, then create a custom landscape design that will be tailored to exceed your expectations. When you work with Delray Garden Center, you work with a team of individuals who are committed to your happiness. 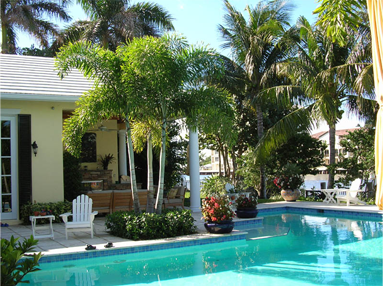 The Delray Garden Center experts have significant experience in evaluating your property to determine the appropriate plants, landscape, and hardscape design. Feel free to stop by our Garden Center, browse our plants, shop at our boutique, and meet some of our incredible team members. We would love to have you contact us to learn more.